Have you considered a new way of developing ideas? iMindMap 9 offers four different views, four enhanced digital platforms to help you make the most of your creative process. Click between views to find the perfect format to complement your task, whilst each view works in sync. 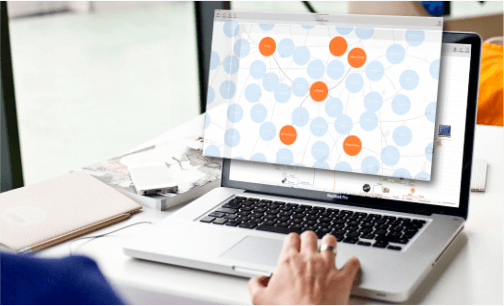 Bursting with new features and capabilities, iMindMap 9 takes conventional Mind Mapping techniques and launches them to a new level, allowing for an improved Mind Mapping experience. In addition, the celebrated Presentation and Brainstorm Views are back and more powerful than ever. iMindMap 9 introduces Fast Capture View – the versatile way to see your ideas quickly. With cutting edge technology, Fast Capture View allows you to convert your fleeting moments of inspiration into a tangible, interactive web. 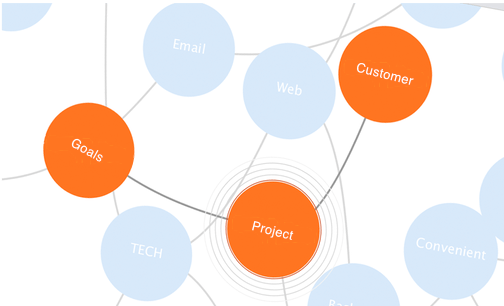 Much like Mind Mapping View, Fast Capture View allows you to conceptualise complexities with ease. Fast Capture View, as the name suggests, allows you to create a web of thoughts at the click of button. This means that formatting delays will no longer keep you from your work. Supported by the new Outline Panel, Fast Capture View allows you to take a high level view of your ideas, sitting but a click away from the Mind Map View, Brainstorm View and much more. iMindMap 9 gives you the opportunity to click between these different views, working in sync to offer you the best Mind Mapping solution. The advantage of Fast Capture View is that it allows you to document rough thoughts as they happen, before turning them into reality. Fast Capture View can be used to crystallise fleeting ideas before they come to fruition – the speed and simplicity of the tool helps you to document your thoughts effortlessly.